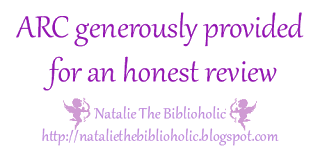 ARC Review: Mr. Big by Nana Malone | The Biblioholic ~ Read more. Sleep less. This was a bit different than what I expected going into this read. When I initially glimpsed the title and the cover, I thought I was in for some orgasmic romance between a sweet, fun-loving heroine and a manwhoring, arrogant, cannon-packing hero. WRONG!! And I absolutely love when I’m wrong in these circumstances. While Emma was very sweet, sheltered, and searching for adventure, Zach was humble, insecure, extremely hot, and trying to be a gentleman. There was no serious mention of his philandering ways and I was happy to see its lack. He was focused on Emma from the get-go and that’s where his attention remained. He knew he wanted her and had strong feelings for her, feelings that existed ever since they grew up together, but he didn’t think he could act on them. Why? Not only was she his best friend’s little sister, but he was holding on to a secret that could potentially rock her world. A secret that could make her hate him. What’s a poor bloke to do?